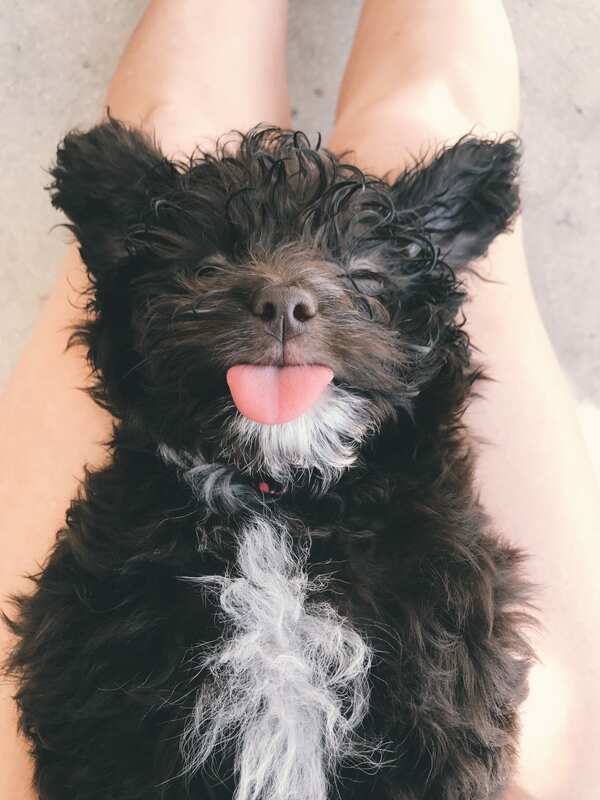 You guys, this is McFluff. AKA McFluff the Crime Dog. We call her McFluff for short. 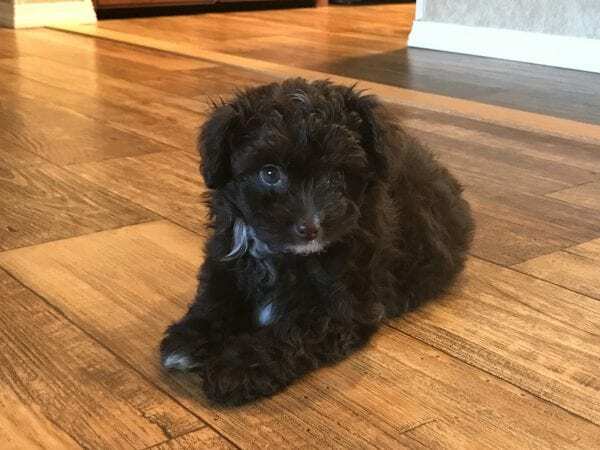 McFluff is a mini Aussiedoodle. 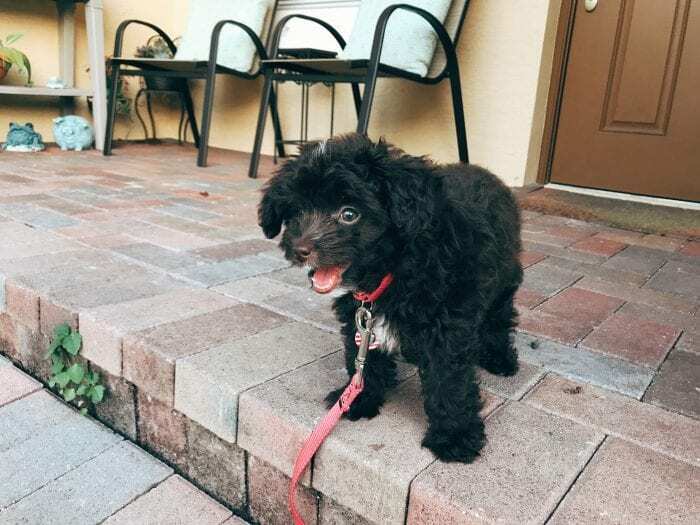 Her mom is a mini Australian Shepherd and her dad is a mini poodle. Currently she’s 10 weeks old and weighs 2.84 pounds. 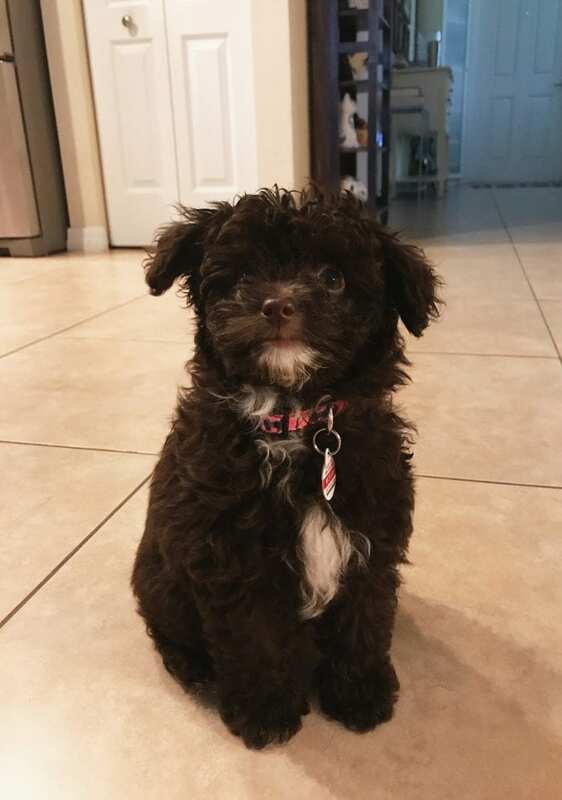 We think she may grow to be 10-20 pounds. She’s as energetic as can be. She loves to run, play fetch and herd dogs and people – she herds me and Ken 😂.. She get’s the herding from the Australian Shepherd in her. She’s super smart; last week I taught her to sit on command. McFluff likes to fight crime just like her cousin McGruff. 😉 Here she is guarding our house from bad guys and bad doggies. Here she is sleeping on the job, probably dreaming about space bunnies. She was supposed to be guarding my beer. Even though McFluff has incredible energy and tends to be a complete maniac, she likes to sleep a lot. See above and below photos for evidence. 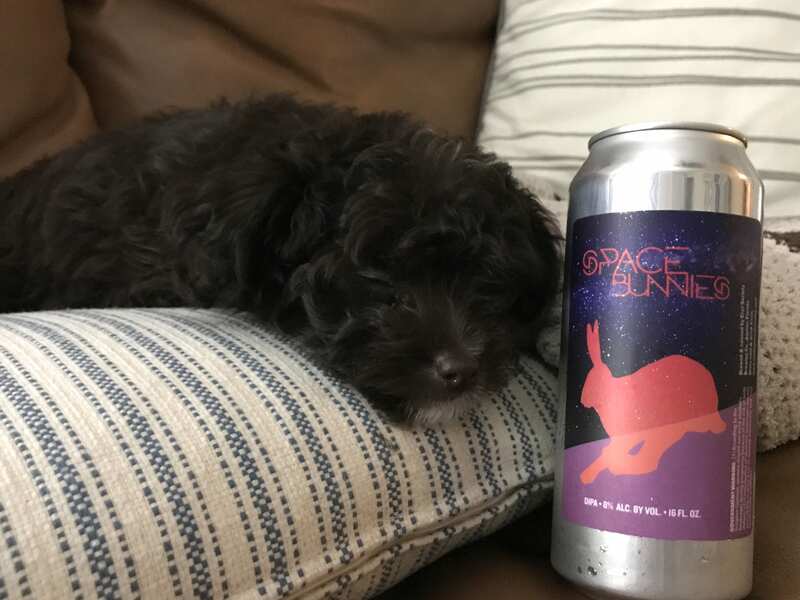 Saturday we took her to a Civil Society Brewing can release and she fell asleep while waiting in line. We love McFluff and are happy she is a part of the family! I will post McFluff updates on my blog. For daily updates, follow McFluff on Social Media. congratulations on your new family member. what a cutie!! Dogs are great role models…play hard then sleep for 11 hours. I could do that. Best wishes to you and your family.